This is some good news for all the Android fans in China. OPPO'S FIND 5 which was first pictured in August and was claimed to be the thinnest quad-core device in the world, is now scheduled to be officially launched on December 12. The smartphone is said to sport an amazing 5.0-inch capacitive touchscreen with full HD (1920 x 1080 pixels) resolution and 441ppi. It will be equipped with a powerful quad-core Qualcomm Snapdragon S4 Pro, probably clocked at 1.5 Ghz. 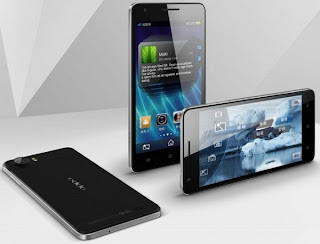 It is also said to be bundled up with 2 GB of RAM and 16/ 32 GB of internal storage and feature the Android 4.1 OS. The Find 5 was initially rumored to be only 6.9mm thin, but latest reports indicated the smartphone might be around 8-9mm thick. It will be equipped with a 12 MP Rear Camera and a 2 MP Front facing camera. Oppo Find 5 will come with Qi Wireless Charging, a technology similar to that included with Lumia 920. We also got to hear that Oppo plans to release different versions of the smartphone with different storage. There is no firm word regarding the same. It is expected to cost around $470. Let us see how does it go for the Oppo. 0 Respones to "OPPO FIND 5 To go official on December 12th"